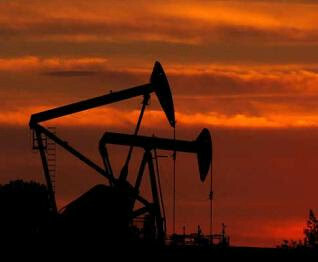 In the 1950s, interest began in Angolan mineral resources, and Petrofina was the first to start drilling for oil. 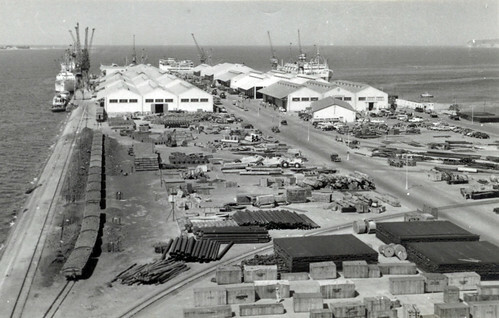 Oil discoveries remained limited, but oil did bring with it all sorts of other activities to Angola, and "Angola has never been the same again." Some years later, Petrofina built a small refinery just outside Luanda, and in spite of a difficult relationship with the government (which imposed all sorts of restrictions, royalties, and bureaucracy), production capacity kept increasing. In 1957, Gulf Oil was given rights to drill off the coast of Cabinda, and in 1958 large-scale shipments of equipment came to Cabinda from America. American firms, such as Union Carbide, came to Angola to carry out soil resource studies, but their reports, to the extent that they were known, were not very positive. Work on iron ore had already begun, e.g., near Vila Salazar, as well as in the south, near Nova Lisboa and Sá da Bandeira. In 1960, the revolution took place in the Belgian Congo, which meant that many Belgian refugees, but also those of other nationalities, came to Luanda. 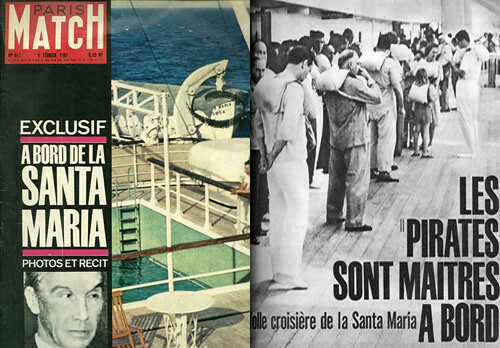 The first sign of political unrest in the Portuguese African territories was the hijacking of the "Santa Maria" in January 1961. People thought that this ship, taken over by Galvão (who had held prominent positions in Angola), might come to Angola, but this did not happen. However, soon after that, during the night of the 3rd and 4th February, a bloody attack took place against whites and blacks in the northern coffee area, during which many hundreds of people, including women and children, lost their lives in the early hours of the morning. It was an act of frightful terror, in which the most appalling acts of cruelty took place. Most certainly elements from the Congo were involved in this, who had gained influence over the local people, and many of the killings were carried out under the influence of drugs, marijuana, etc. This area of small coffee plantations was perhaps one of the most fertile areas for rebellion, for the conditions under which the natives worked were bad, and there had already been signs of dissatisfaction, but to which government officials had paid no attention. At the same time, there was an attack on the Penedo jail in Luanda, with a number of people killed, and some days later more clashes during the funeral for one of the victims. By March, people were already talking about organized terrorism in the northern areas, and refugees streamed into Luanda from those areas, mainly women and children. 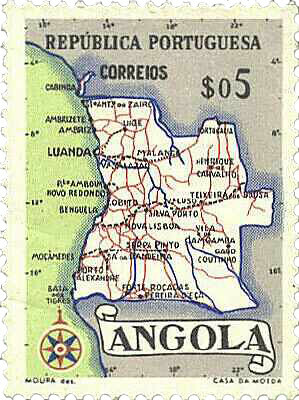 Luanda was in a state of great agitation, and many families left for Portugal or elsewhere at the first opportunity. 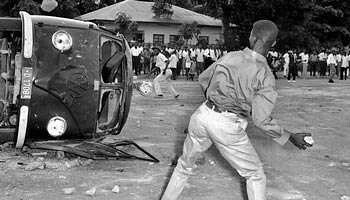 The population also turned against the Protestant mission in Luanda, smashing all the windows of its buildings in the city. For months and months you could hear machine-gun fire at night, coming from skirmishes at the city limits and the outskirts, the native neighbourhoods. Since there was very little military power to protect the people should a large scale attack by the natives take place, people were in a high state of anxiety, aggravated by all kinds of alarming rumours doing the rounds, such as imminent slaughtering of children in the schools, mass poisoning of the drinking-water supply, and so on. From the cotton districts of Cassange, to the east of Malange, again and again came news of mass uprisings, and there were people who believed that a complete encircling of Luanda by the blacks was not impossible. After that we were not able to visit those regions for some time, as it was too dangerous to travel there independently, and even in convoy it was hazardous. Many clients were still unreachable, as they had entrenched themselves behind walls and barbed wire. We had a consignment of "Jacaré" machetes, from Martindale, in our stocks, and these had to be handed over to the police. Luanda's needs increased with refugees and soldiers swelling the city's population, and it was a matter of adjusting as best possible to this situation. Progressively the areas around Luanda were cleared, and people could once again travel in the direction of Cacuaco, and later as far as Caxito, but further north, so some 100 to 150 km from Luanda, travel remained unsafe.